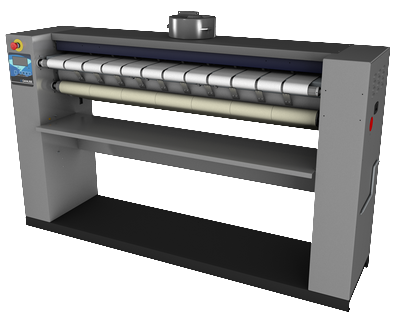 The MICRAII flatwork ironer ø 200 mm, working width 1m40, is an economic model allowing an excellent finishing quality thanks to the feeding and ironing Nomex bands and a better output than a single wall ironer: it dries and irons right out of a high spin speed washer extractor to save time and energy. Dries and irons flat linen directly from a high spin washer extractor in a single operation. 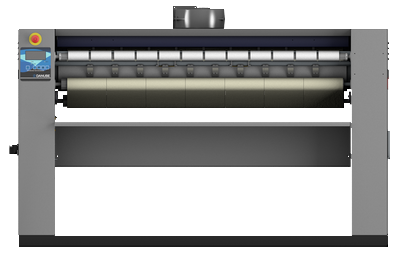 Electronic control : ironing speed and temperature selection. Roll Ø 200 mm in polished steel.